Combining a knack for infectious melodies with a unique, bizarre sense of humor and a vaguely avant-garde aesthetic borrowed from the New York post-punk underground, They Might Be Giants were one of the alternative success stories of the late '80s and early '90's. The duo – John Flansburgh and John Linnell celebrated their 20th anniversary in summer 2002 with their first foray into Children's music. 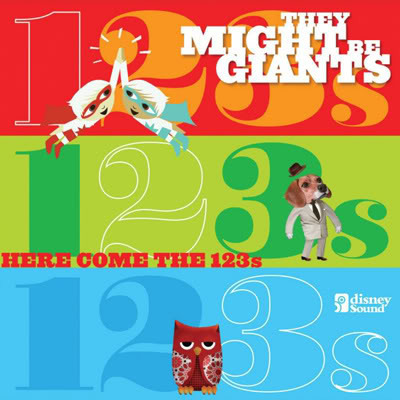 Early in 2005, the band entered into their successful partnership with Disney Music Group through which they have released three children's CD's titled- Here Come the ABCs, Here Come The 123s and Here Comes Science CD/DVD. These three titles are now available for the first time in New Zealand! Here Come The 123s include family-friendly original songs and music videos that make learning numbers fun and entertaining. 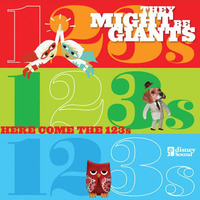 They Might Be Giants won the Best Musical Album for Children at the Grammy Awards 2009 for this release.